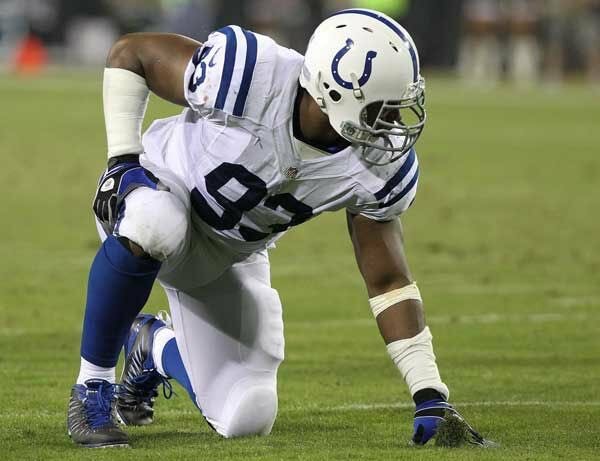 Time For Dallas Cowboys To Give Dwight Freeney A Call After Tyrone Crawford Scare? The Dallas Cowboys must have used up all their ‘good luck’ with Dak Prescott last season. They certainly don’t have any good luck when it comes to the defensive line. When the season starts, they are going to be minus three guys due to suspension (Damontre Moore, David Irving, and Randy Gregory). As thin as the unit is, they can’t afford to lose anyone else. It looks like they might, but even if they don’t the unit could use a little help. Tyrone Crawford had to leave the practice field on the cart after making a play on Ezekiel Elliot. In the process, he rolled his ankle pretty bad. He immediately went down clutching his ankle. If it happens to be something more, it will not be the first time Crawford has gone down during training camp. He tore his Achilles during training camp in 2013 and had to miss the entire season. As it turns out, it may not be too serious. 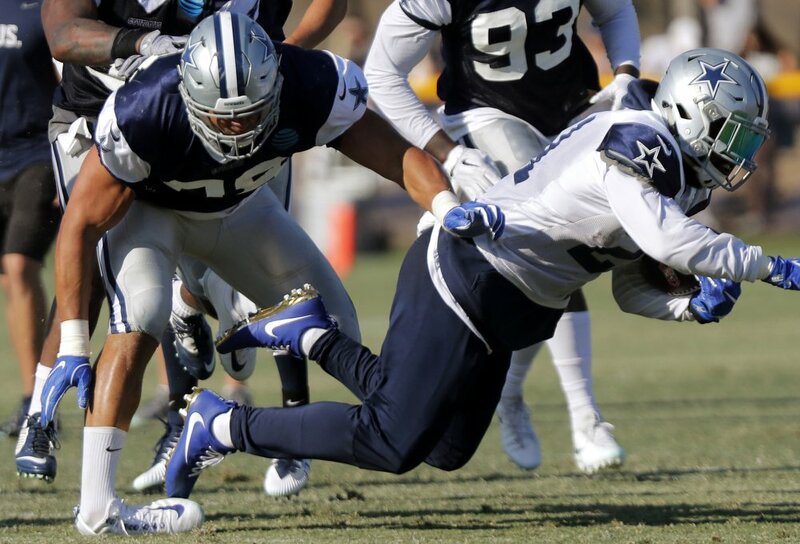 Cowboys beat writer Clarence Hill Jr. tweeted Tuesday night that the early word on Crawford’s injury was a lateral sprain. Depending on the severity of the sprain, he could be out just a few weeks (update–he’ll be ready for the start of the season). So, he misses out on the bulk of training camp and the preseason—no big deal. That is, no big deal if that is all the injury is. If the possibility of losing Crawford wasn’t enough to make the team start to sweat about its defensive line, Cedric Thornton went down with a hamstring injury before practice ended. The Cowboys defensive line is okay at best when it is fully staffed, and everyone is healthy. But with three guys suspended and at least one gimpy, it may be time for the Cowboy to think about bringing in a little help. However, the team doesn’t have a ton of cap space so they would need to get someone that is good but cheap. One player that most would consider old for an NFL defensive lineman (37) comes to mind—Dwight Freeney. Ever since the Indianapolis Colts let him go following the 2012 season his career has gone downhill. He landed with the San Diego Chargers after leaving Indianapolis, but an injury cuts his first season short. While he did make some clutch plays during the 2014 season, he didn’t make enough for the Chargers to resign him. The Arizona Cardinals added him late in the 2015 season (October 12). Even though he primarily played just in passing situations and in only nine games, he led the team in sacks (eight). Atlanta signed him last season. Again, Freeney was used primarily as a pass rush specialist. He ended up playing in 15 games and recording just three sacks. He did, however, have on in the Super Bowl as well. Freeney is old but he still wants to play. It sounds like he understands what his role would be and he’s okay with it. Why wouldn’t he be? Rushing quarterbacks is what he does best (122.5 career sacks). But here’s the best part for the Cowboys—he only cost the Falcons $1 million last season. So—should the Cowboys give Freeney a call? Well, the upside would be getting a capable pass rusher that could also teach the rest of the defensive line a few things about rushing the quarterback. The downside?